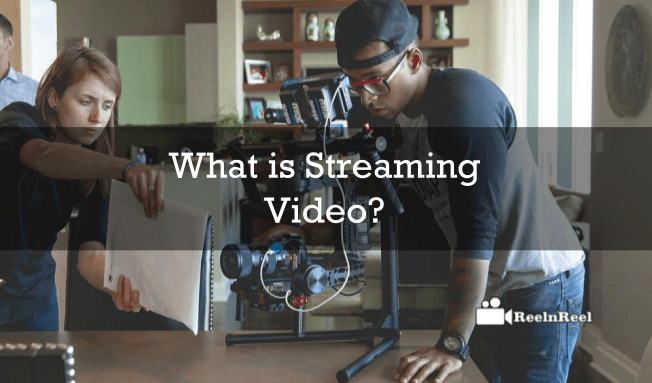 Home » Video Marketing » What is Streaming Video? Streaming video is the one the media that you watch as it comes to your device. It is different from downloading and can be said an alternative to it. There is no need to download the video content entirely before the user starts to watch it. Streaming video or streaming media is sent as a continuous stream and the user can watch it as it arrives. The media player which is chosen compresses the video and allows playing it simultaneously. The compression rate and the time it takes vary from media player to media player. Before choosing the best platforms and services related to streaming videos, the user must be clear on what he want to achieve. Do not just choose the platforms because they are cheap or because they are popular. Choose the one that you feel have the most attributes and will help your business. • DaCast is one of the most popular streaming video platforms and it offers storage of 20 GB and a unlimited number of channels. • Livestream is another popular online streaming video platforms and it offers one channel and unlimited storage. • Ustream offers its services with 100 ad free viewer hours, 50 GB storage and one channel. • Wowza is another streaming video that offers unlimited channels and 50GB storage. • Brightcove can be tried for its unlimited number of channels and its price and features change from plan to plan. Most of the video streaming platforms are offering live streaming services also and also host live or on-demand video. They will allow broadcasting the videos, host them, embed them and monetize them. Some of these platforms grant full control over the content to the broadcaster. Some of them even allow the user to monetize the videos themselves. Streaming video is a most popular tool for the digital marketers. Whatever be the size of the business is, everyone is using the streaming video trend. Here are few best practices for streaming video. Chose the best platform for your streaming video. Promote your streaming video in advance. Check the internet and computer settings and see that they meet the minimum requirements. Switch from WiFi to Ethernet connection. Use a platform that streams the video over the content delivery network. Use enough bandwidth in the internet connection. Define the type of content and choose high bandwidth network connections. Some of the network protocols developed for streaming media is the HTTP or real-time streaming protocol. Users have to subscribe to streaming video services to access the content. Test the video streaming with a test stream. Check if everything is going right. Streaming video is being adopted by users to access live video and video-on-demand content. Users are even watching live events, ads etc. Streaming video helps the organizations to market their brands and product. Streaming media reaches millions of viewers. The streaming media markets were at $336.1 million around six years ago and are expected to reach %1.1 billion within a year from now. The demand for online video is likely to grow further in the coming days. It is said that more than eighty percent viewers are accessing online video content. Businesses, as well as the individuals, are considering streaming video as one of the top ways to interact with the audience. It is proved that the streamed video content is watched three times more on social websites than nonstreaming videos.